This blog is a rather informal operation, as you may have gathered. But South African civil society has been busy organising itself for some time in preparation for the COP, with two primary goals: a neutral space for civil society activities of all stripes, and a mass consolidated march on Sat 3 December. C17’s official website is c17.org.za. It includes a calendar of events outside of the official COP itself, and you can register your own non-COP activities on the calendar. I will continue updating this site up to and throughout the COP – but please don’t expect it to be a comprehensive resource. 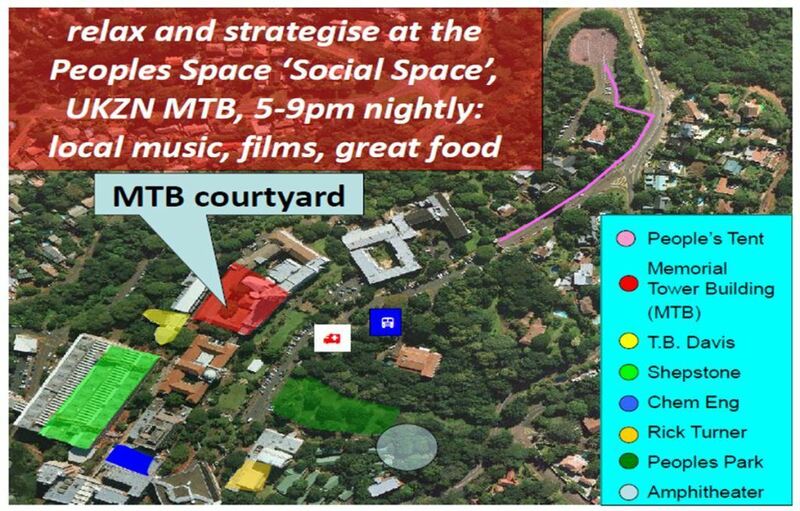 There doesn’t appear to be a final decision on the actual venue for the civil society space yet, so I’ll update you when that comes. However, survivors of Cancun will probably be relieved to hear that this whole COP, including civil society spaces, should be a whole lot more geographically consolidated than was COP16 in Mexico. I’m taking my bike to Durban. There’s more about C17 below, in their own words. Faith community events are consolidated at cop17faithcommunities.org.za.